Australian-Latvian family owned and run for the benefit of sensible traveller. 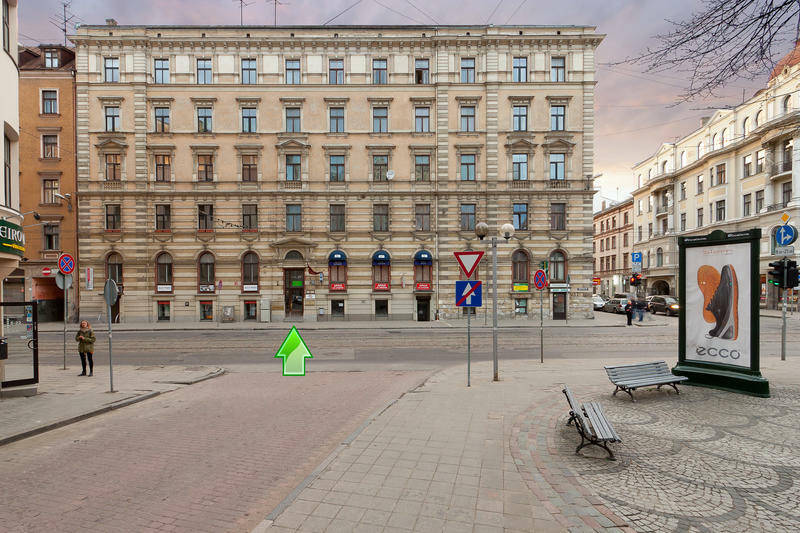 This small, quiet, clean and friendly hostel is only 5 minutes walk from everything that's worth seeing in Riga! 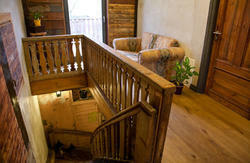 We have located our hostel by choice in the best area of Riga near cozy cafes, green parks and busy shopping streets. We are in the cleanest and safest part of the town, close to main train and bus station. Of course we have free internet access on the computer in the lounge and free wifi all over the hostel if you're carrying your own laptop/iPad etc. We have a 4 security door system with a single easy to use electronic smart card. Each dorm bed has its own underbed locker that can fit your whole bag, our fire safety system is directly connected to the Fire Department. Because we only have a maximum of 25 guests at any time you get much more personal attention than you would in larger hostels and we're happy to spend some time giving directions and passing on our local knowledge of places to go and things to see. Our reception staff is always available to help make sure you enjoy your stay in Riga and have the perfect day of sightseeing or night of partying. We also have a fully equipped kitchen with an oven, free coffee/tea and even a blender! There is a supermarket only two blocks away for self catering and plenty of nice, cheap restaurants within a couple of minutes walk. Nearby you will find traditional Latvian food as well as Indian, Japanese, Lebanese, burger, pizza and coffee shops. Feel free to hang out on the couches, watch the big screen TV (more than 300 movies available) and have a few (and maybe a few more) pre-party drinks with the other guests. Riga's night life is amazing when you know the right places! Or we can just show you whatever you want to see! Free WiFi and Computer with Free Internet! Apartments have minimum 3 days and are not located in the same building. Our website map shows the location. 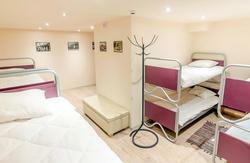 Family rooms are in the hostel and have two double beds and two single beds - email us for Family Rooms. Check Out is 12 noon standard from your room. If you Check out of your room before you have to depart Riga, you are welcome to leave your bags at the hostel all day, or relax in the Common Room and watch movies, drink some beers, chill out, etc. We have a beach hostel in liepaja 200km from Riga near the Lithuanian border. Walk across the road to McDonalds and then one more block to Krisjana Barona Street. Turn right and walk to number 25 that is 400 meters away. Funky Hostel is on the top floor of number 25. Look for the Hostel and Australian Chamber of Commerce signs at the entrance door on the street. Walk towards the Old City (on the left when coming out of the bus station) by going under the underpass walkway that takes you under the main road. When you emerge on the other side turn right. Walk across the road that has lots of tram tracks and to behind the large building that is the Police Station. Behind the Police Station is a tram stop. Take any tram 6 or 11 for just two stops. (Ticket can be purchased at the driver, it costs 0.70 Ls). You will get off the tram at the Dzirnavu stop and walk across the road to number 25 that is another 30 metres in the direction the tram was travelling. Funky Hostel is on the top floor of number 25. Take a RED taxi to Krisjana Barona 25. It will cost you about 7 lats. You can trust the taxi meter on these red taxis. Barons is on the top floor of number 25. If you take the Airport bus 22 or 22A then you need to follow 'From the Train Station' directions once you get off of the bus.